Looking for a quick, enjoyable read? 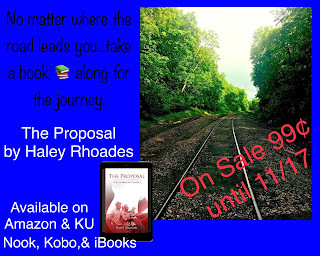 Check out The Proposal on sale 99¢ until 11/17/17. 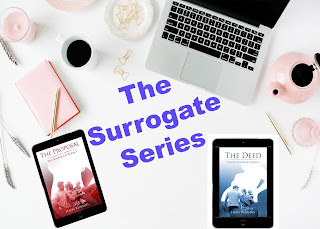 With the release of book two in The Surrogate Series, I am offering book one at a terrific price. New from author Haley Rhoades, The Deed is now available. Secure your copy on the links below. Hurry this special price won't last long. 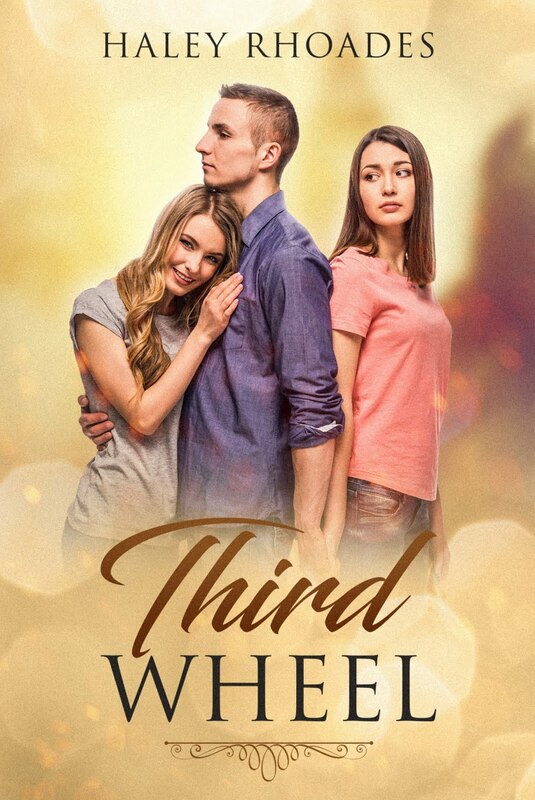 (11/11 to 11/17 only) Now is a great time to start book one then move on to book two. You may earn up to 20 chances to win the $50 Amazon Gift Card. 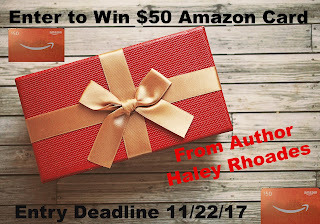 Simply clicking on links to like or follow author Haley Rhoades on social media earns you entries into this contest. Don't delay, contest ends Thanksgiving Day. Who couldn't use an extra $50 to spend on Amazon this holiday season. I started writing The Surrogate Series in the year 2000. I have several notebooks, big and small, along with some printed sections to this tale. This year, I started organizing it all and sharing the story with you.